We would like to invite you to “Hang Around the Barn with Us” in the form of an arena sign! Our beautiful indoor arena is observed by over 100 people each week and many more during our events. 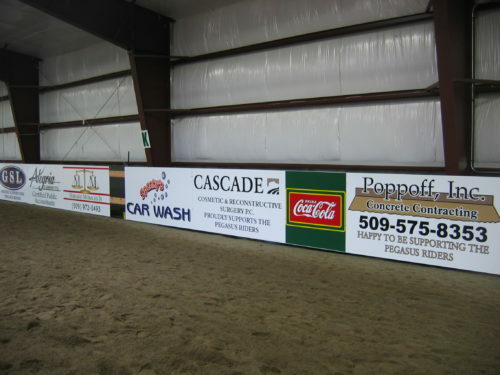 Show your support of the Pegasus Project by having your company showcased on a sign in our arena. Please contact Marlo at events@pegasusrides.com for more details!